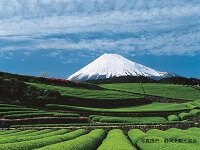 Shimoda is a pleasant city at the southern point of the Izu Peninsula and is a beautiful destination, offering hot springs and great beaches. It has historical importance as the landing place of several of Commodore Perry's "black ships" in 1854, an event which marked the end of Japan's era of isolation and the start of diplomatic relations between the US and Japan. 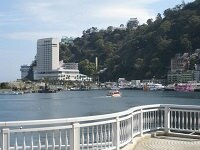 Off the shore, you can enjoy the views of Shimoda as well as from the nearby Mt. 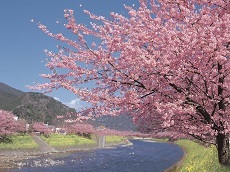 Nesugata-yama, which is said to resemble a woman lying on her back. The Nesugata-yama Cable Car service, available from the Shimoda Station, takes you to the peak of Mt. 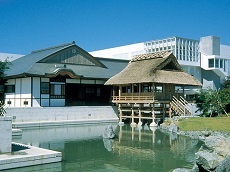 Nesugata-yama. Cape Iro-zaki, at the southern tip further down the Izu-hanto Peninsula, is a scenic spot with its lighthouse and towering cliffs, a view of which you can enjoy from aboard a boat that tours around the cape. Another popular spot to go when in Shimoda is Shirahama. As its name suggests, Shirahama is a white sand beach. It is one of Izu's most famous and popular sand beaches and is also known for relatively good surfing conditions. 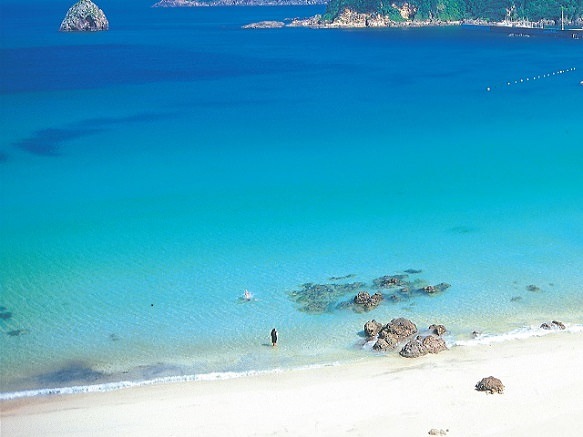 The beach is located just outside of Shimoda, next to Shirahama Jinja, a pretty Shinto shrine. The official swimming season begins in mid July and lasts through August, but air and water conditions remain pleasant through September. You can also enjoy its tropical atmosphere at a huge tropical botanical garden nearby the station.